Fresh, savory, crunchy, and crispy. Isn’t that just what you want in a salad? Since then, I usually roast my brussels sprouts in a 400 degree F oven drizzled with garlic olive oil, salt and pepper for about 30 minutes. So when I saw a salad where you didn’t have to cook the brussels sprouts, I was intrigued! I typically HATE with a capital “H” raw vegetables. Carrots, celery, broccoli, cauliflower, you name it… I don’t like it raw. You take those same veggies and pop them in the oven and give them a little roast, or sauté them in a little olive oil, and you’d think they turned into candy. 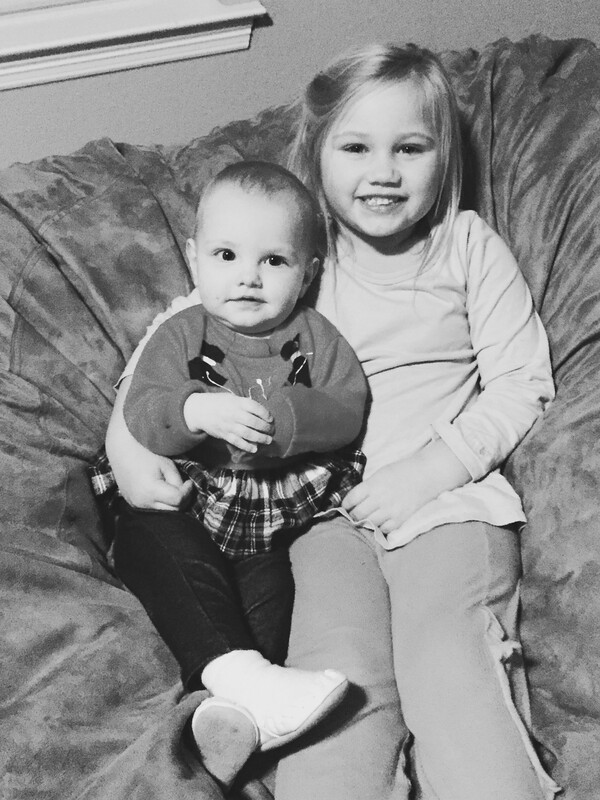 I love them! I guess we all have our quirks, but this salad is the exception. 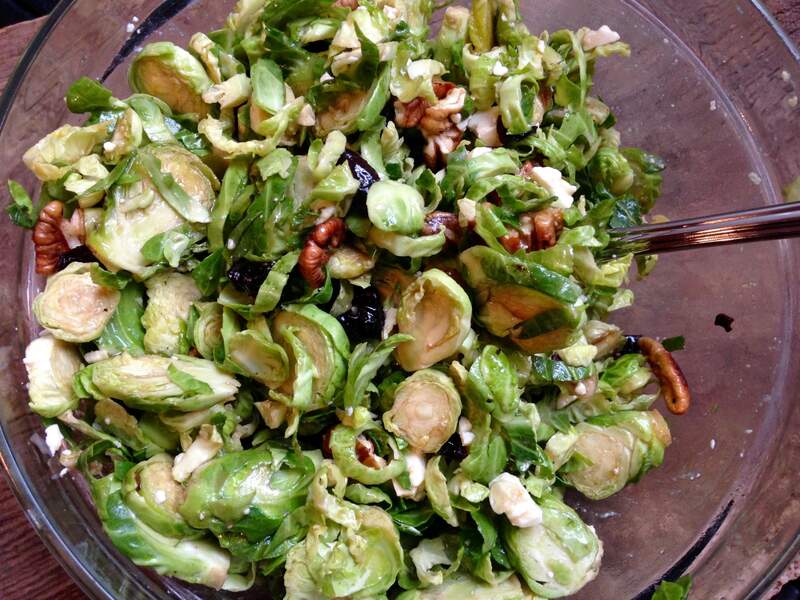 The brussels sprouts are uncooked, washed, and shredded, and tossed together with feta, pecans, olive oil, shallots, craisins, balsamic vinegar, maple syrup, and a little bit of dijon mustard. The combination is just perfect. I actually made this salad the day after Thanksgiving. Had I known it was this easy to make, I would have made it for everyone else to try. Well, there’s always Christmas dinner! 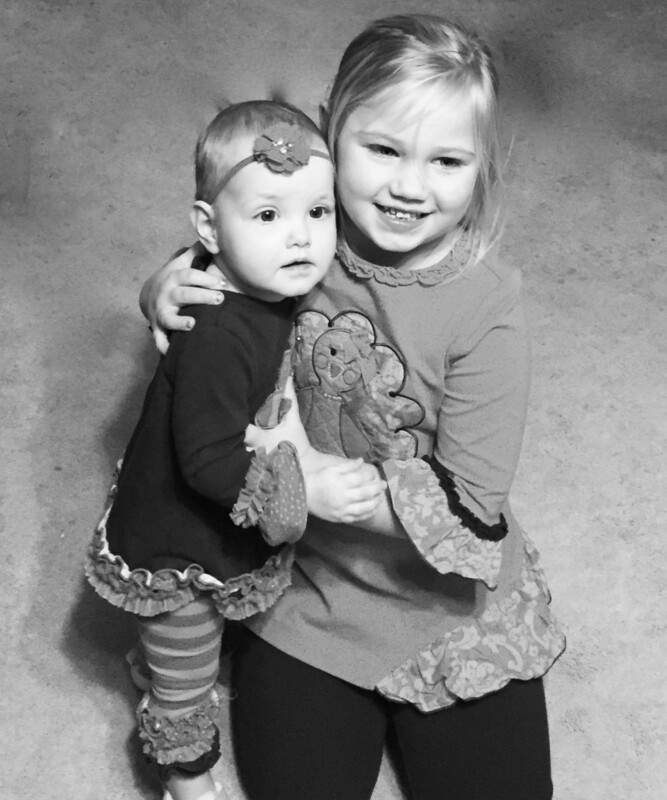 Cousin love at their great grandparent’s house for Thanksgiving. 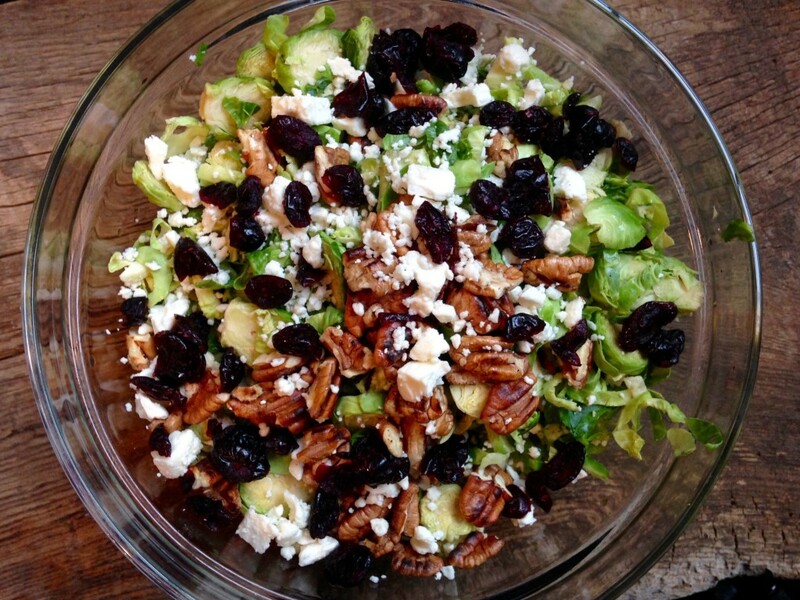 Using a very sharp knife, thinly shred brussels sprouts while holding onto the core end then discarded cores and add shredded sprouts to a large bowl with dried cranberries, pecans, feta, and chopped pears. Set aside. Heat olive oil in a skillet over medium-high heat. Add half the shallots then fry until light golden brown, 1-2 minutes. Scoop onto a paper towel-lined plate to drain then repeat with remaining shallots. Sprinkle with salt and let cool slightly.